Statement necklaces were hard to miss last night. Presenter and Wolf of Wall Street’s Margot Robbie had by far one of the evening’s favorite looks with a replica of the original Duchess of Windsor’s Van Cleef & Arpels Zipper necklace in diamonds, sapphires, and platinum from 1938, worth an estimated $1.5 million. 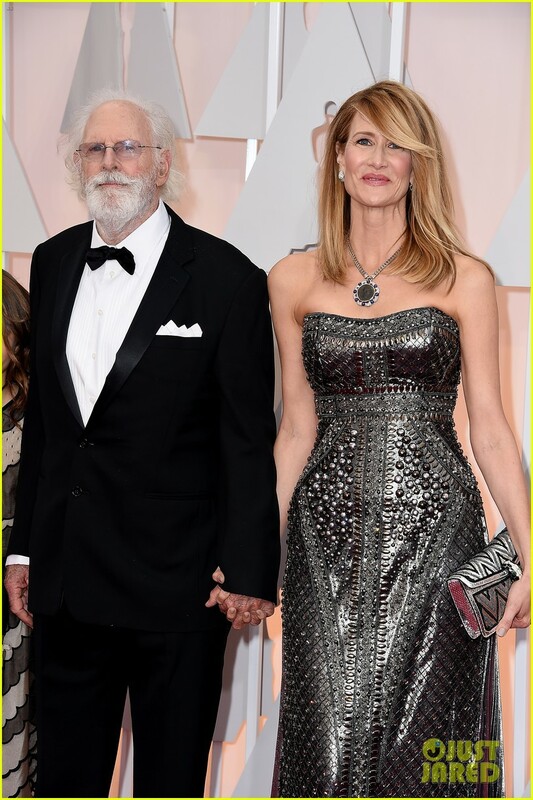 Nominee for Best Actress in a Supporting Role for Wild Laura Dern sported an oversize Bulgari pendant necklace and a massive gemstone ring made in honor of the death of her character in the film. Presenter and Oscar winner Cate Blanchett wore a massive turquoise bib from Tiffany & Co., Viola Davis wore an impressive Van Cleef & Arpels pearl and diamond number, and presenters Zoe Saldana, Jessica Chastain, and Anna Kendrick all wore colorless diamond necklaces—Chastain in Piaget, Saldana in Neil Lane, and Kendrick in Norman Silverman (a piece that secured her dress at the neckline). Additionally, supermodel and Mrs. Adam Levine, Behati Prinsloo, wore a black diamond and gold de Grisogono Boule necklace with a black and colorless diamond ring. Big earrings were also easy to see. Best Supporting Actress nominee for Into the Woods Meryl Streep wore blackened Art Deco earrings with diamonds by Fred Leighton, presenter Gwyneth Paltrow wore massive Anna Hu earrings with rubellite, Rita Ora wore big diamond drops from Lorraine Schwartz, and singer Jennifer Hudson sported huge emerald earrings with diamonds that were also from Schwartz. Then there were the ear cuffs and climbers, a newer trend that several stars opted to wear: Chloë Grace Moretz wore Forevermark and presenter Scarlett Johansson wore a Piaget piece in rose gold with emeralds, diamonds, aquamarines, and green tourmalines. Of course, colorless diamonds of all kinds were abundant last night. 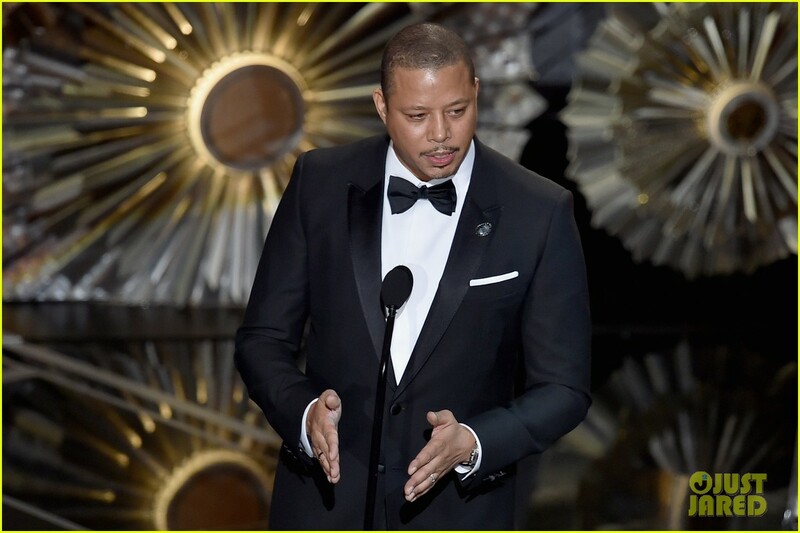 Anna Kendrick wore Norman Silverman, Giuliana Rancic wore pieces from Forevermark, Best Actress nominee (Two Days, One Night) Marion Cotillard wore sideways-set hoops from Chopard, and Best Actress nominee (Wild) Reese Witherspoon wore Tiffany & Co. Even the men brought their jewelry A game. 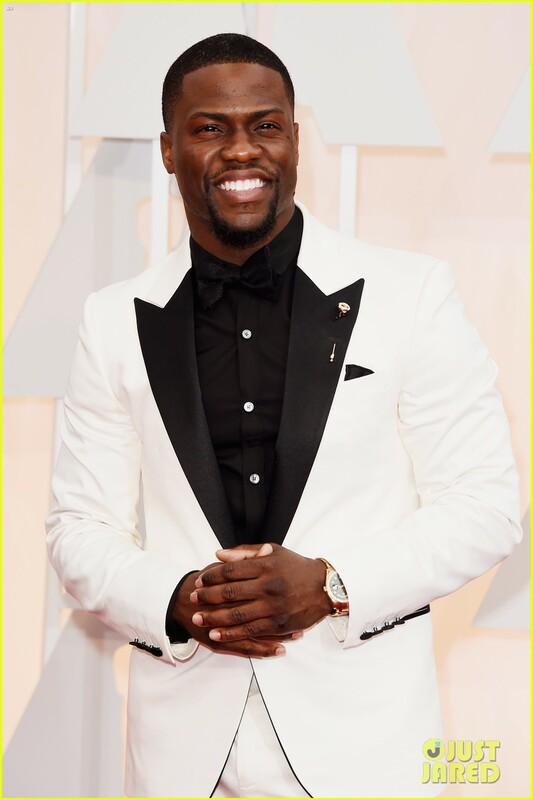 Kevin Hart, David Oyelowo, Terrence Howard, and Elton John, among others, wore pins on their lapels. 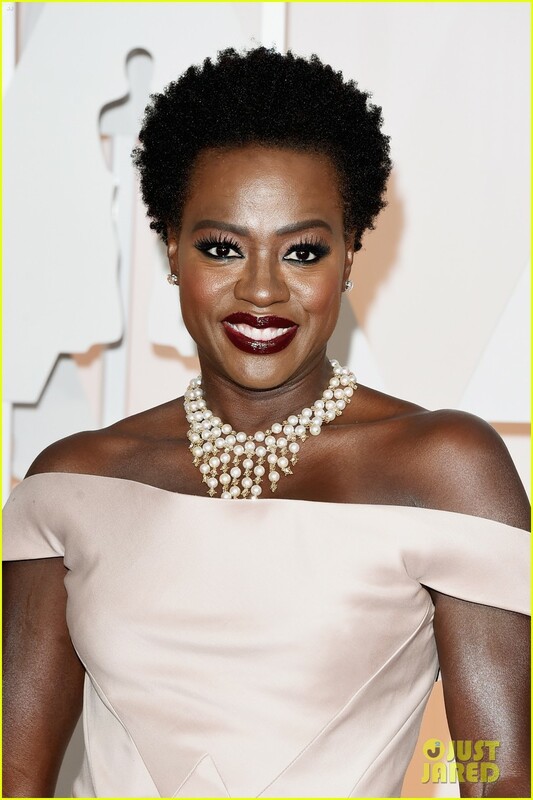 Other standouts included Oscar winner Lupita Nyong’o in a custom Calvin Klein Collection frock by Francisco Costa outfitted in more than 6,000 pearls with complementary Chopard colorless diamond jewels and Scarlett Johansson in a stunning emerald-tone Swarovski crystal choker that was part of her dress.